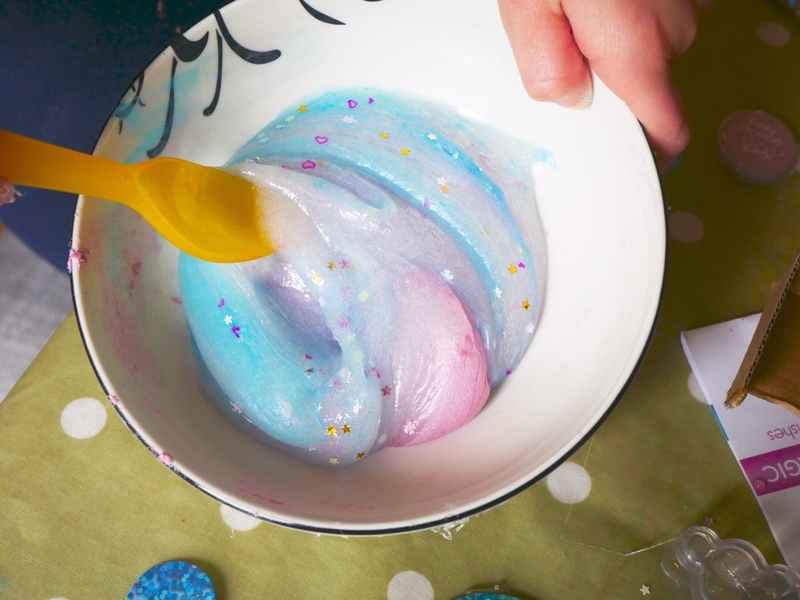 If you have kids, you will all be aware of the recent goo and slime craze that’s been sweeping through schools and homes alike. 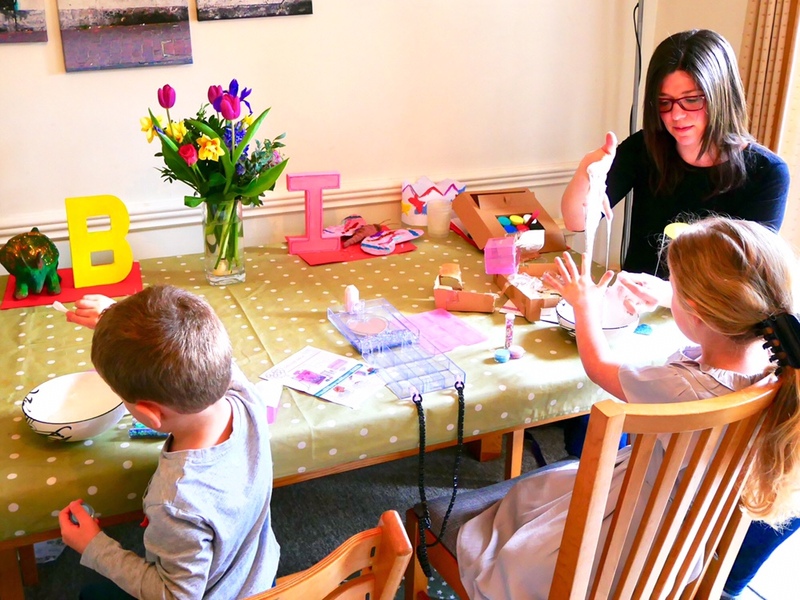 Glam Goo Deluxe Purse is a fantastic goo kit that has been keeping the children entertained through the typical British weather we’ve been having. 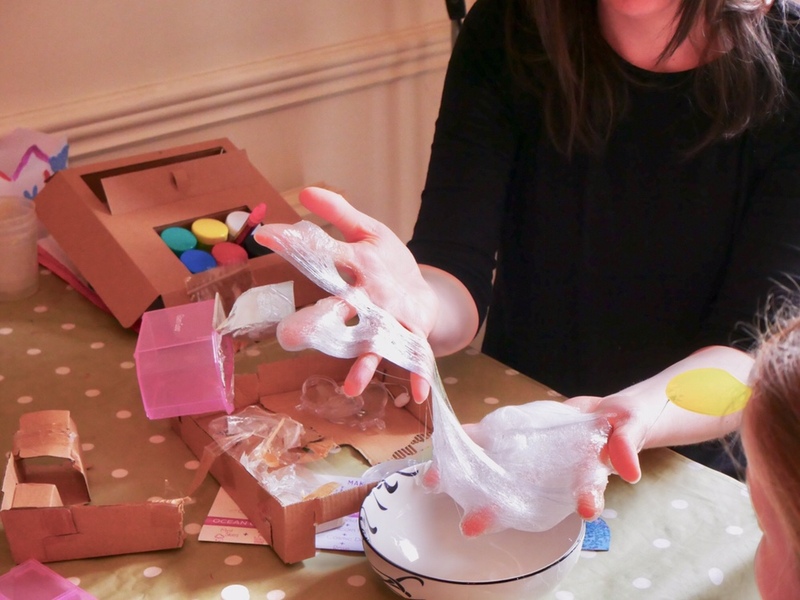 The idea behind Glam Goo isn’t just to create and play with the goo but they want to make goo wearable! 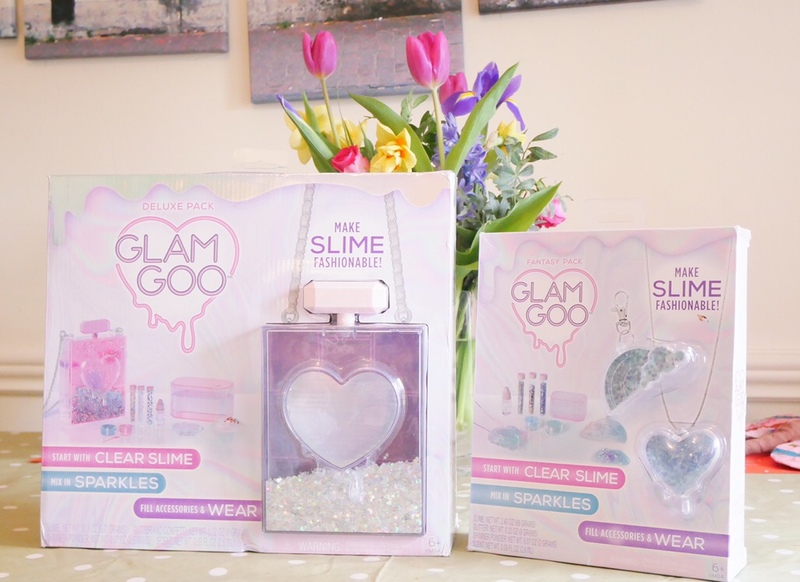 With the Glam Goo Purse and matching accessories, you can do just that! 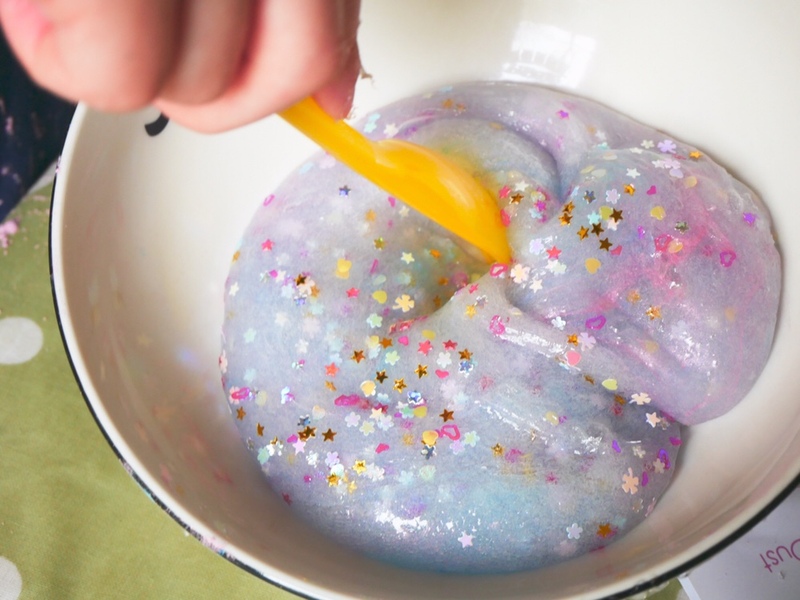 The concept of creating your own slime is something that really appeals to the children and we have tried it once before but following tutorials online. It didn’t have the desired result! 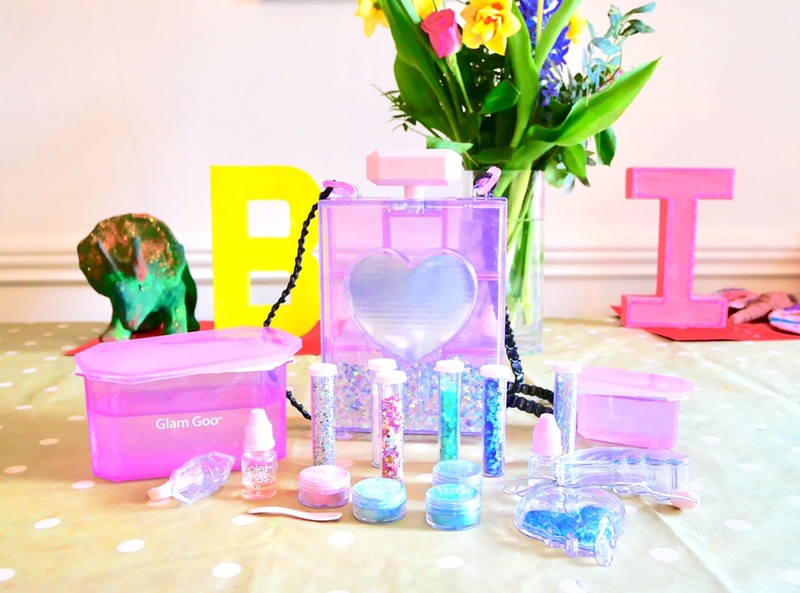 Thankfully Glam Goo comes with pre mixed goo and all you need to do is add your colours, glitter and desired scent! When you first open the pack of goo it is really sticky and slimy! I started to panic at first but if you roll it in your hands for a while, it does actually get to a really great consistency to play with without getting stuck to everything. It’s safe to say the children were engrossed in this from the second we opened the pack and they haven’t put it down since. 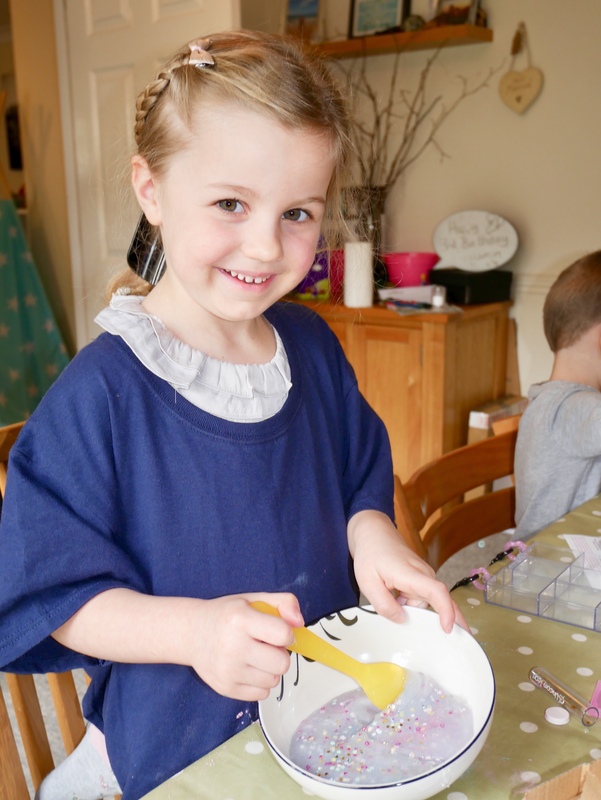 It comes in the car, to Nana’s, shopping – basically wherever we are going, our goo comes too. Having both the bag and the boxes to keep the slime in for safe keeping is an extra bonus for me. 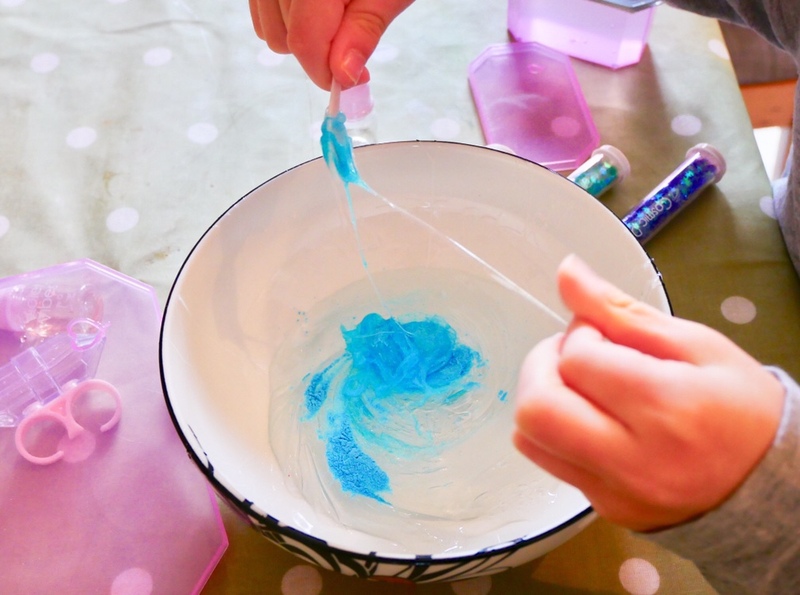 It has been known that we have found slime and putty days later in odd places around the house after the children ‘forget’ where they’ve put it. So far, the bag has contained the goo well. 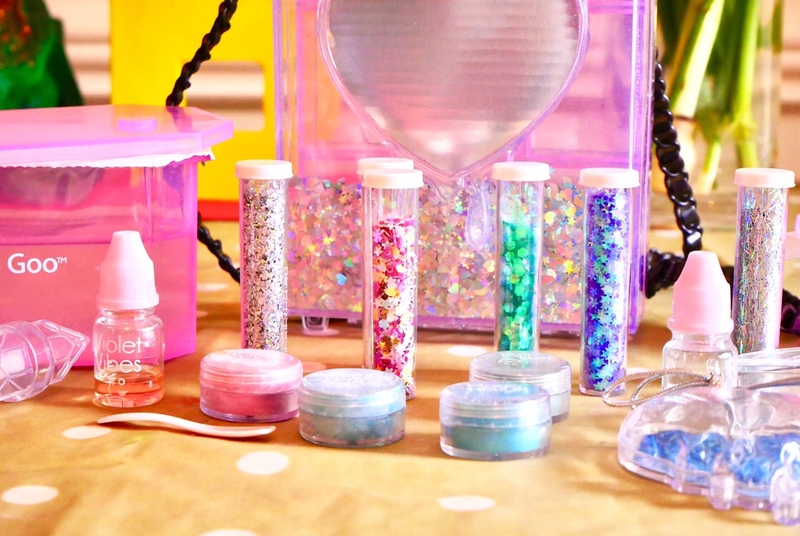 The bag has mini compartments as well as one larger compartment so you can make more than one colour goo and ensure they don’t get mixed together. It’s definitely been well thought about and is well made and sturdy too. 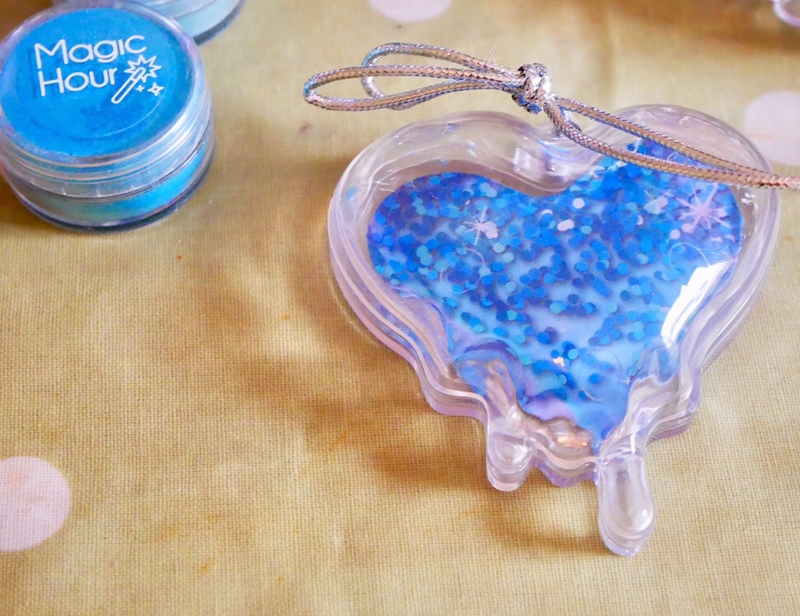 The little accessory pack is lovely – Isabella LOVES the wearable heart pendant. My only criticism of this pack is that the picture on the front shows a keyring but one isn’t actually included. This means that unless you have a spare, you can’t really use the second accessory. 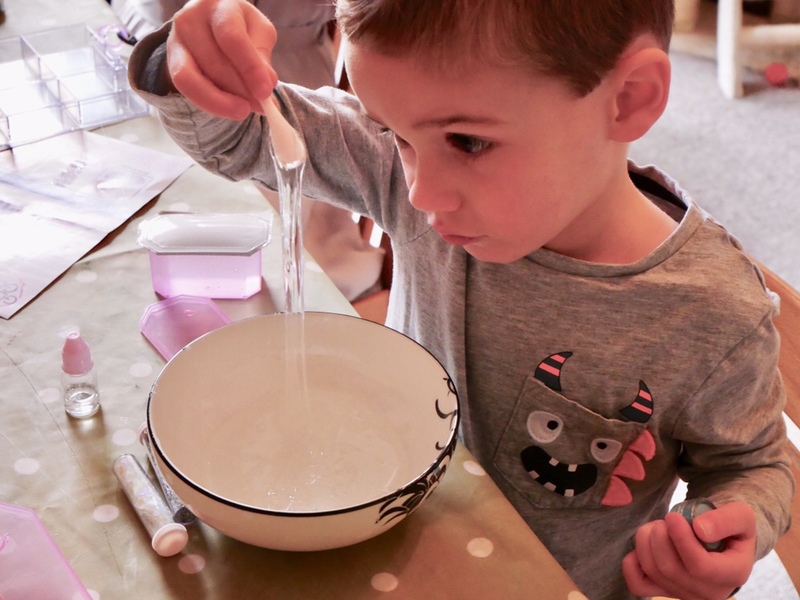 We love the Glam Goo products and would definitely recommend them for any slime mad children! i got one for christmas and it was awesome i loved it!!!!! !